It’s important for family to get out and have fun together, but it can sometimes be expensive. Never fear, your Z is here…(Cue the super hero theme music 😉 )! We’re heading out to host Z88.3 Parking Lot Parties all over Z Land! 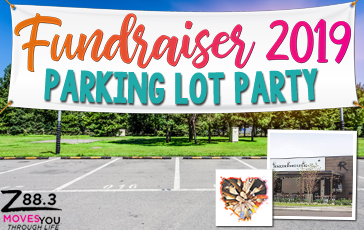 The Z Crew be setting up a party in the parking lot with our friends at 4Rivers, bringing music and giant yard games (like giant jenga, giant connect four and hula hoops) to help you bring your family together for a night of fun. The best part is the price…free!